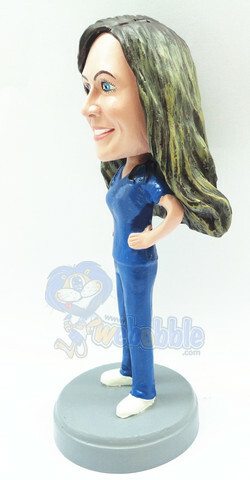 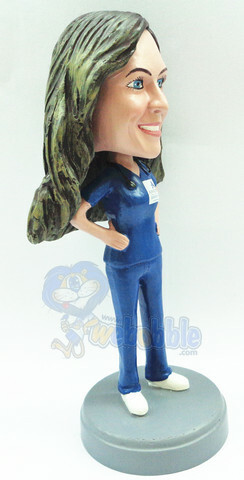 A custom bobblehead of a female surgeon wearing blue scrubs and white shoes. 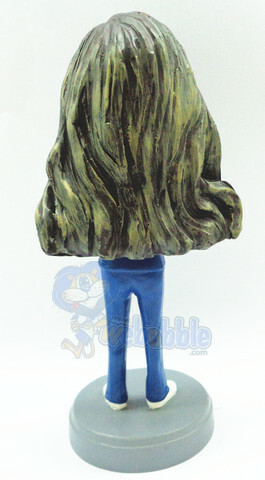 The colors of this can be modified if you select the change color option on the order form. 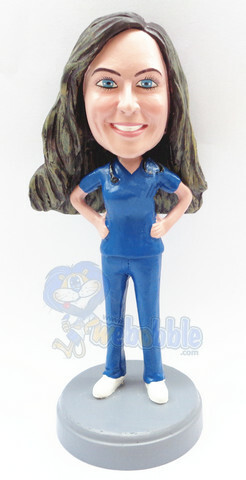 Around her neck is a stethoscope.